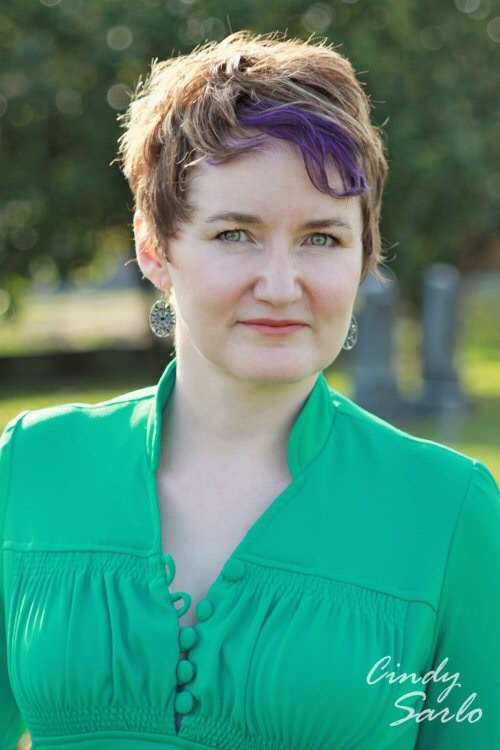 The Adventures of The Everyday Fangirl welcomes author of Prodigal, Jody Wallace! In PRODIGAL, our world is 3 or so years into a global apocalypse. Humans are dealing with chaos, unrest, scarcity, and oftentimes survivalist conditions, with the worsts-affected area being the West coast of the United States and eastward from there. Our heroine, Claire Lawson, is the sheriff of a buffer zone settlement in Illinois. The buffer zone is supposed to be free of the horde, which is the mass of soul-sucking black monsters trying to eat the planet. The shades don’t run around independently like zombies or your standard monster; they ooze in a continuous mass, like a giant slime coating, over the surface of the planet. Their existence, and the land they’ve taken and people they’ve killed, create difficult conditions for all survivors, even ones in lands as-yet untouched by the horde proper. Everything on the United States’ East coast is a pit of overcrowded, refugee-hosting, martial-law chaos. Choosing to live in the buffer zone means you’re pretty much guaranteed to receive no government aid. As such, the people who live in the buffer zone have got to figure out how to feed themselves again. Electricity does exist, especially when the settlements get help from the Shipborn aliens, but electricity isn’t enough to grow crops. Can’t hop down to the corner store and pick up some salmon for tonight’s dinner or ask hubby to get milk on his way home from work. The residents of Camp Chanute banded together for safety and resource sharing. They’ve been feeding their populace by maintaining farms in about a fifty mile radius of the settlement plus trading with other settlements and learning how to produce foods that they used to rely on factories to make. The dried-out bar was like gnawing on a tree, but it was more portable than homemade yogurt, and she hated walnuts. They’d traded for a truckload or two of them, and now everything was walnuts, walnuts, walnuts. So how did it turn out for me? Well, it turned out pretty good, I have to say. 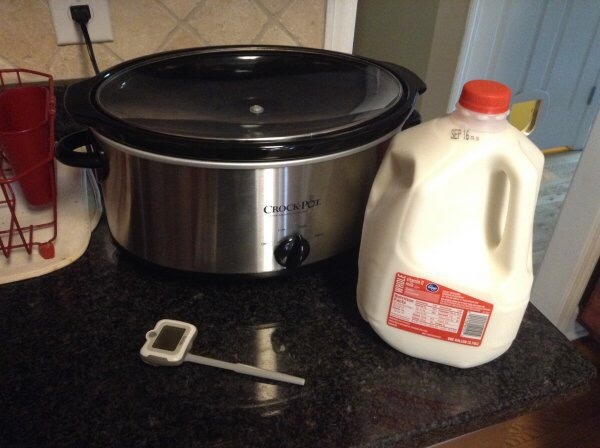 I used regular store brand milk, and I kind of didn’t pay very good attention to the temperatures, so I let the milk cook in the slow cooker longer than I should have and then let it cool to a lower temp than I should have when I finally stirred in the “starter” cultures (which was plain store bought yogurt with the right cultures in it). It took all day to get to the point where the mixture in the crock pot got wrapped in the towels, so it sat in the towels overnight. The end result was almost 2 quarts of whey, which is supposedly good for smoothies and such, and a giant bowl full of thick, plain yogurt. We ate yogurt every day for a week for the price of one gallon of milk. Since we’re sissies, we added various things to the tart product, like brown sugar, granola and fruit. Definitely cheaper than any brand I could find in the store per ounce. But worth the effort? That, I cannot say, although my family has asked me not to make any more damn yogurt for a while. They’re sick of it. I imagine in post-apocalyptic times, the hardest part would be getting your hands on starter yogurt or the appropriate cultures. The rest would be doable, though you’d need to eat it immediately or have some way to keep it chilled. What kinds of things do you know how to do that would be useful in post-apocalyptic times? 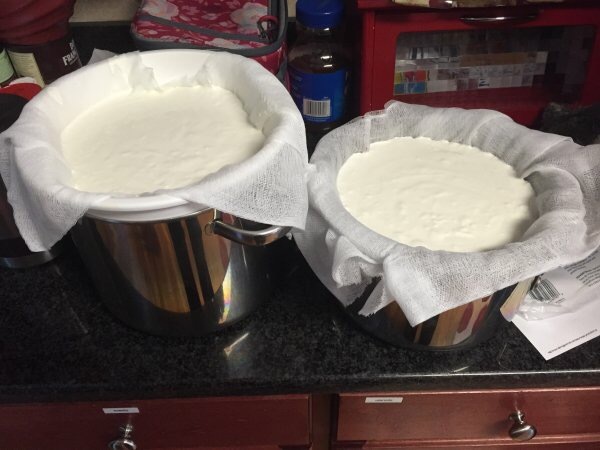 I’ve made yogurt a few times! 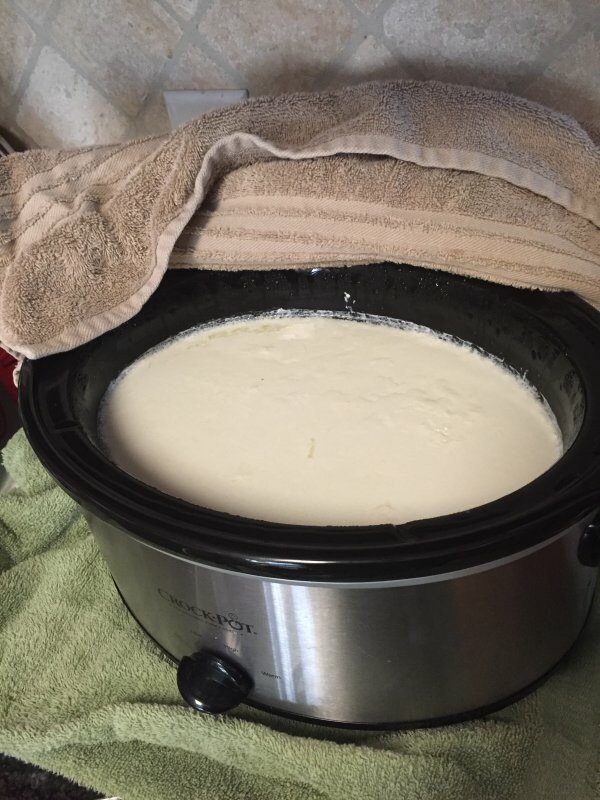 I just use a thick-bottomed Dutch oven to get the milk up to temp, cool it a bit in a sink full of water, add in the cultures, then pour it in quart sized jars. 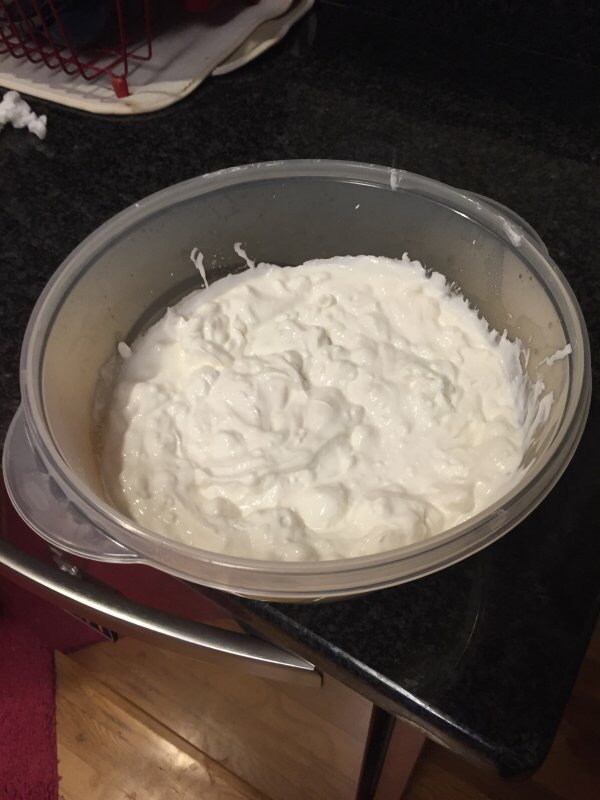 That way, I can strain and make the thicker, Greek style yogurt in smaller batches. If you add a bit of honey before you put it in jars, it’s pre-sweetened just enough.